The human body naturally contains nearly 500 different species of microorganisms unless your name is Madonna or Barney Frank since both of these people don’t exactly live clean lives. The body cannot function well without a healthy balance between the good and bad bacteria. You can replenish good or friendly bacteria through probiotic supplements – not with cans of soda and potato chips! However, no single probiotic has all the bacterial strains required by your body. It is important to understand which strains to watch out for in order to restore your overall health faster and boost your immunity. For instance, if you are prone to infections and sickness then you will need immunity boosting strains such as B. Lactis. If you wish to add probiotics to your diet, you should know about all the common strains of probiotic bacteria and their functions. The two major bacteria species that are dominant in your body include Bifidobacterium and Lactobacillus. Here is a detailed description of their individual strains. This is probably the best bacteria to boost your immune system. A 2009 (this was before Obamacare began to ruin America’s health care system and after the NBA helped the Lakers win championships in 00 and 02) study conducted by researchers found that strain B. Lactis DN-173 led to self-reported improvements in digestion and elimination. Another study was conducted which had participants taking either a placebo or this probiotic strain for 6 weeks. Participants who took probiotics had an increased level of antibodies that indicated improved immune functions. This probiotic strain naturally occurs in the body. However, with time or alleviated levels of stress, the body’s supply of B. Bifidum is depleted. These microbes help the body’s first line of defense by regulating the innate immune response. They have been known to prevent digestive disruptors in the form of intestinal pathogens from flourishing in the gut. They help towards optimal digestion by restoring the gut balance. Clinical studies have found a significant decrease in IBS symptoms in people who take B. Bifidum. It also helps in relieving the occurrence of ulcerative colitis. B. Bifidum is known to improve someone’s quality of life with better immune and gastrointestinal support. B. Breve has clinically been proven to increase stool frequency in children with functional constipation. Researchers found a link connecting stool consistency with abdominal pain relief. B. Breve is the ideal strain if you suffer from digestive woes that add to your discomfort. Another study found a fascinating benefit of B. Breve B-3. It could potentially mitigate the detrimental effects of chronic UV radiation preventing photo-aging. This means probiotics can now be used to keep your skin firmer, plumper and younger looking. These are one of the first bacteria to colonize our body after birth. They ferment sugar into lactic acid and help in stabilizing acidity in the GI tract. These bacteria are critical to good health because they inhibit growth of other harmful bacteria. As per a study, B. Longum helped ease discomforts and supported healthier digestion. A group of adults were cured of chronic constipation by a mix of B. Longum BB536 with yogurt or milk. All adults showed significant improvements in their bowel movement within 2 weeks. This strain of the Lactobacillus bacteria can control inflammation and help regulate immunity. In 2007, a study found that probiotics could significantly help suppress inflammation in the gut with a more positive reaction of histamines. Another significant controlled study with double-blind placebo and L. Plantarum 299v found it to be helpful for patients with Irritable Bowel Syndrome. They provided effective symptom relief with bloating, gas, and abdominal pain. 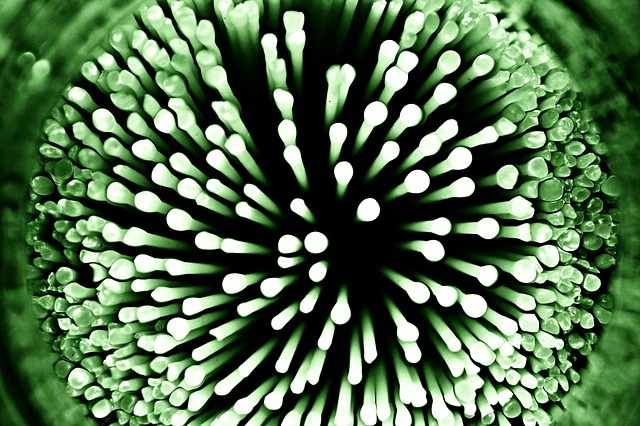 This is one of the most widely recognized bacteria for diarrhea and vaginal health. It has been prescribed by doctors to treat constipation and diarrhea since the 20s in the form of acidophilus milk. The L. Acidophilus microbes are strong, powerful and effective. They tend to survive through the harsh stomach environment and escape unhurt into the intestines to colonize rampantly. Evidence has shown the ability of Acidophilus NCFM in treating vaginal infections. Other studies show that it has the capabilities to reduce lactose intolerance and help in decreasing the risk of colon cancer. However, there is more than digestive issue that this probiotic can address. It helps with acne inflammation as well. A clinical study documented 80% patients who were given a mixture of L. Bulgaricus and L. Acidophilus to show a degree of clinical improvement in acne. Another study conducted in Italy involving 40 patients found better tolerance and compliance to antibiotics for a significant reduction in inflammatory acne with a mix of B. Bifidum and L. Acidophilus. L. Casei shows promising results towards digestive support and regulating diarrhea in initial studies. One study found a significant reduction in the incidence of diarrhea with milk fermented by L. Casei strain DN-114. This bacterium has made the headlines in relieving anxiety as per studies. A randomized, placebo controlled, double-blind study found a decrease in symptoms of anxiety and depression on supplementing 24 billion units of L. Casei strain Shirota. It also led to an increase in the development of other probiotics such as Bifidobacterium and Lactobacillus. This is one of the most extensively studied strains of Lactobacillus. It is known to colonize rampantly in intestines of both adults and children. Healthy bacteria are killed after a round of antibiotics and Rhamnosus in particular is very sensitive. Gut flora is disrupted during travel and stress as well. Rhamnosus GG supplements were found to be beneficial during travel by relieving abdominal discomforts and treating the occasional bouts of diarrhea. This strain was found to be beneficial in preventing eczema as per another study. Women who were supplemented with this strain at childbirth gave birth to children with a 50% reduced risk of developing atopic eczema by the age of 4. These should not be confused with strep throat causing bacteria. This particular strain of streptococcus displays antibacterial activity against harmful intestinal microbes. In combination with L. Bulgaricus and L. Casei, the S. Thermophilus greatly reduced incidence of Antibiotic Associated Diarrhea. Probiotics are an important daily food to have a healthy body. If you think your diet is not enough to meet your daily probiotic needs, then you should choose probiotic supplements. Multi-strain probiotics with more active colony forming units are considered to be the best supplements. You can check the label and packaging to identify the strains present in the supplement so you can make the right choice.